Legendary NHL goalie Terry Sawchuk and his struggles with depression are featured in a new "Goalie'' movie biopic premiering March 1 in Vancouver, B.C. and Toronto. Sawchuk long ago already participated in one big "Opening Night'' in Seattle and had additional connections to this city. Legendary former NHL goalie Terry Sawchuk at least played one “Opening Night’’ in Seattle, even if a new movie biopic about him won’t initially be screened here. A netminder many consider the greatest ever was in goal for the Toronto Maple Leafs on Sept. 30, 1964, when they staged the first sporting event at what’s now KeyArena with an exhibition game against the minor professional Seattle Totems of the Western Hockey League. More than 8,600 fans, including tuxedoed socialite patrons looking dressed more for opera than hockey, flocked to the Seattle Coliseum to watch Sawchuk’s defending Stanley Cup champion Leafs dismantle the Totems 7-1. So, it’s hardly a surprise NHL Seattle president and CEO Tod Leiweke said his group is looking into possibly helping bring the film here. Titled “Goalie,’’ the movie stars Mark O’Brien as the Winnipeg-born Hall of Famer, while Kevin Pollak of “The Marvelous Mrs. Maisel’’ plays Red Wings general manager Jack Adams and O’Brien’s real-life wife, Georgina Reilly of “Murdoch Mysteries,’’ plays Sawchuk’s wife, Pat. For now, the movie’s producer, Blue Ice Pictures, is launching it Friday in Vancouver, B.C., and Toronto but plans other Canadian and U.S. showings later this spring. Given Sawchuk’s history in jump-starting KeyArena, it makes sense Leiweke’s group would want the movie shown here ahead of the venue being reopened for the NHL franchise they plan to debut there in October 2021. That 1964 KeyArena opener wasn’t the only piece of Seattle history attached to Sawchuk, a man whose career was as haunting as it was brilliant. If previews for the movie are any indication, it should delve well beyond his statistical accomplishments: four Stanley Cup titles, four Vezina Trophies as the NHL’s top netminder, a Calder Trophy as rookie of the year and a then-record 103 shutouts in a 21-season Hall of Fame career with Detroit, Toronto, Boston, Los Angeles and the New York Rangers. What makes the Sawchuk story a potentially fascinating movie subject is his darker side, formulated around a lifelong struggle with depression. Sawchuk was long believed to suffer from an undiagnosed bipolar disorder, a taboo subject for athletes in his 1950s and ’60s heyday and only now starting to be better understood within the sporting community. Frankly, trying to grasp the Sawchuk legend without peering into his mental state is like attempting to figure out hockey without all of the ice and pucks. A proverbial chip on the shoulder, self-doubt, breakdowns, abusive behavior and struggles with alcohol permeated his career right up to his still somewhat-unexplained death in 1970 at age 40 after his first and only season as a New York Rangers backup. “There’s massive human depth to Terry Sawchuk which is why he has inspired a lot of fascination and obsession over the years, beyond his un-paralleled skills, grit and the records that lasted for decades,” producer Daniel Iron, vice president of Blue Ice Pictures, said in a release. There’s no position in hockey quite as alone on the ice as the goalie, which can make it tougher on those already predisposed to depression and anxiety. Gump Worsley, Clint Malarchuk, Corey Hirsch and more recently, Robin Lehner, all dealt with various forms of depression throughout their NHL careers, though none of the outcomes were as tragic as what befell Sawchuk. Before that 1964 opener at the Coliseum, he’d played two other Seattle exhibitions at the Civic Ice Center — later known as Mercer Arena — while with the Detroit Red Wings in 1959 and 1960. In the first of those, the Red Wings outlasted the Totems in a 5-4 thriller. The next time the teams met, a year later, the Red Wings cruised to a 6-1 victory. In the 1964 Coliseum opener four years later, another of the Leafs playing and scoring his team’s fifth goal was winger Ron Stewart. He and Sawchuk became friends and roommates in Toronto and wound up renting a house together in Long Island, N.Y., during the 1969-70 season when playing for the Rangers. Sawchuk had been brought to New York by onetime Seattle Americans — what the Totems franchise was previously called — goalie Emile (The Cat) Francis, who by then was the Rangers general manager. Francis had wanted a veteran backup for Ed Giacomin and Sawchuk’s days as a No. 1 goalie were by then done. After that season, in which Sawchuk appeared in only eight games, he and Stewart — both recently divorced and heavy drinkers — got into an argument at a neighborhood tavern over money and the costs of cleaning the rental home before turning it back over for the summer. They were asked to leave the bar, but continued arguing on the home’s front lawn, where things turned physical. Sawchuk is said to have tumbled awkwardly over Stewart’s knee. 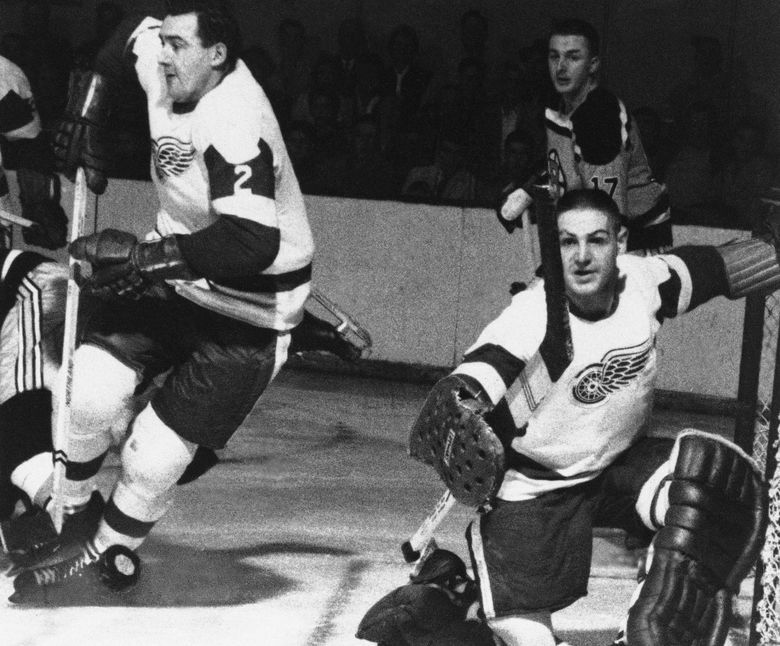 Sawchuk was hospitalized with internal injuries. 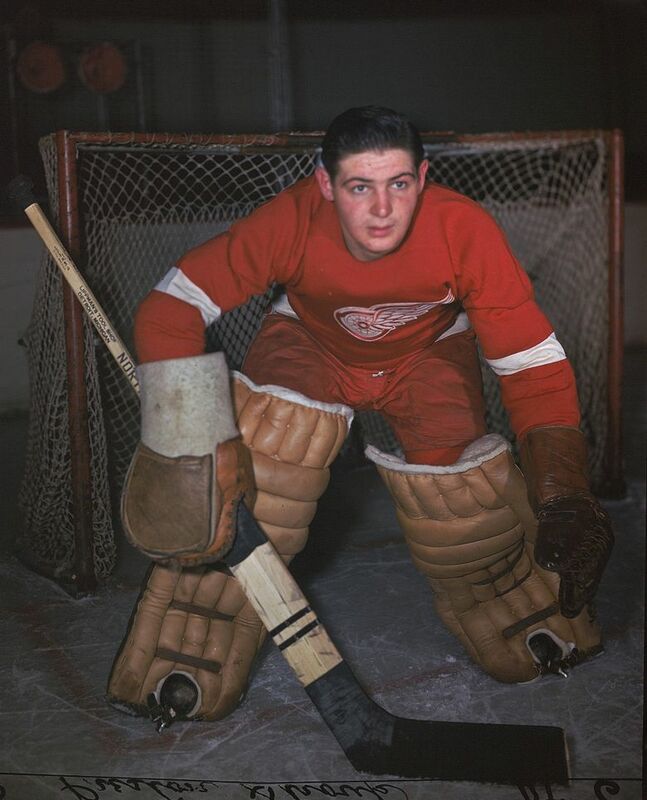 He underwent surgery for a ruptured gall bladder, but also had a bleeding liver that forced an additional operation from which Sawchuk never recovered. After a month in the hospital, Sawchuk died of a pulmonary embolism. Former Seattle goalie Francis spent the final days of Sawchuk’s life by his bedside and later went to identify his body at the morgue. Sawchuk told police before his death he accepted full blame for what happened. A Nassau County grand jury investigating Stewart’s role ruled the death an accident. To this day, it’s unclear whether Sawchuk’s liver damage was caused by the fight, or his prior drinking. Events surrounding the altercation were also sketchy — initially described as “horseplay’’ between teammates — and Stewart, who almost never discussed the incident, is said to have remained tormented by it the remainder of his life. He died in Kelowna, B.C., in 2012 at age 79. Sawchuk’s death, to a degree, remains one of the NHL’s lingering mysteries, though the lifelong events leading to it had long been whispered about in league circles. The Sawchuk movie should enlighten more people about the demons that plagued him and perhaps further destigmatize mental illness on a mass scale within the realm of pro sport so athletes needing help can get it in time.